6351401 FD35 TOYOTA FD35 Diesel forklift FD series. Spare parts catalog. Service (workshop) Manual. 6351402 3FD35 TOYOTA 3FD35 Diesel forklift FD series. Spare parts catalog. Service (workshop) Manual. 6351403 5FD35 TOYOTA 5FD35 Diesel forklift FD series. Spare parts catalog. Service (workshop) Manual. 6351404 6FD35 TOYOTA 6FD35 Diesel forklift FD series. Spare parts catalog. Service (workshop) Manual. 6351405 7FD35 TOYOTA 7FD35 Diesel forklift FD series. Spare parts catalog. Service (workshop) Manual. 6351406 8FD35 TOYOTA 8FD35 Diesel forklift FD series. Spare parts catalog. Service (workshop) Manual. 6351407 02-FD35 TOYOTA 02-FD35 Diesel forklift FD series. Spare parts catalog. Service (workshop) Manual. 6351408 02-3FD35 TOYOTA 02-3FD35 Diesel forklift FD series. Spare parts catalog. Service (workshop) Manual. 6351409 02-5FD35 TOYOTA 02-5FD35 Diesel forklift FD series. Spare parts catalog. Service (workshop) Manual. 6351410 02-6FD35 TOYOTA 02-6FD35 Diesel forklift FD series. Spare parts catalog. Service (workshop) Manual. 6351411 02-7FD35 TOYOTA 02-7FD35 Diesel forklift FD series. Spare parts catalog. Service (workshop) Manual. 6351412 42-7FD35 TOYOTA 42-7FD35 Diesel forklift FD series. Spare parts catalog. Service (workshop) Manual. 6351413 8FD35N TOYOTA 8FD35N Diesel forklift FD series. Spare parts catalog. Service (workshop) Manual. 6351414 40-8FD35N TOYOTA 40-8FD35N Diesel forklift FD series. Spare parts catalog. Service (workshop) Manual. 6351415 8FD35U TOYOTA 8FD35U Diesel forklift FD series. Spare parts catalog. Service (workshop) Manual. 6351416 5FD38 TOYOTA 5FD38 Diesel forklift FD series. Spare parts catalog. Service (workshop) Manual. 6351417 02-5FD38 TOYOTA 02-5FD38 Diesel forklift FD series. Spare parts catalog. Service (workshop) Manual. 6351418 FD40 TOYOTA FD40 Diesel forklift FD series. Spare parts catalog. Service (workshop) Manual. 6351419 3FD40 TOYOTA 3FD40 Diesel forklift FD series. Spare parts catalog. Service (workshop) Manual. 6351420 5FD40 TOYOTA 5FD40 Diesel forklift FD series. Spare parts catalog. Service (workshop) Manual. 6351421 6FD40 TOYOTA 6FD40 Diesel forklift FD series. Spare parts catalog. Service (workshop) Manual. 6351422 7FD40 TOYOTA 7FD40 Diesel forklift FD series. Spare parts catalog. Service (workshop) Manual. 6351423 8FD40 TOYOTA 8FD40 Diesel forklift FD series. Spare parts catalog. Service (workshop) Manual. 6351424 02-FD40 TOYOTA 02-FD40 Diesel forklift FD series. Spare parts catalog. Service (workshop) Manual. 6351425 02-3FD40 TOYOTA 02-3FD40 Diesel forklift FD series. Spare parts catalog. Service (workshop) Manual. 6351426 02-5FD40 TOYOTA 02-5FD40 Diesel forklift FD series. Spare parts catalog. Service (workshop) Manual. 6351427 02-6FD40 TOYOTA 02-6FD40 Diesel forklift FD series. Spare parts catalog. Service (workshop) Manual. 6351428 02-7FD40 TOYOTA 02-7FD40 Diesel forklift FD series. Spare parts catalog. Service (workshop) Manual. 6351429 42-7FD40 TOYOTA 42-7FD40 Diesel forklift FD series. Spare parts catalog. Service (workshop) Manual. 6351430 8FD40N TOYOTA 8FD40N Diesel forklift FD series. Spare parts catalog. Service (workshop) Manual. 6351431 40-8FD40N TOYOTA 40-8FD40N Diesel forklift FD series. Spare parts catalog. Service (workshop) Manual. 6351432 8FD40U TOYOTA 8FD40U Diesel forklift FD series. Spare parts catalog. Service (workshop) Manual. 6351433 FD45 TOYOTA FD45 Diesel forklift FD series. Spare parts catalog. Service (workshop) Manual. 6351434 5FD45 TOYOTA 5FD45 Diesel forklift FD series. Spare parts catalog. Service (workshop) Manual. 6351435 6FD45 TOYOTA 6FD45 Diesel forklift FD series. Spare parts catalog. Service (workshop) Manual. 6351436 7FD45 TOYOTA 7FD45 Diesel forklift FD series. Spare parts catalog. Service (workshop) Manual. 6351437 8FD45 TOYOTA 8FD45 Diesel forklift FD series. Spare parts catalog. Service (workshop) Manual. 6351438 02-5FD45 TOYOTA 02-5FD45 Diesel forklift FD series. Spare parts catalog. Service (workshop) Manual. 6351439 02-6FD45 TOYOTA 02-6FD45 Diesel forklift FD series. Spare parts catalog. Service (workshop) Manual. 6351440 02-7FD45 TOYOTA 02-7FD45 Diesel forklift FD series. Spare parts catalog. Service (workshop) Manual. 6351441 42-7FD45 TOYOTA 42-7FD45 Diesel forklift FD series. Spare parts catalog. Service (workshop) Manual. 6351442 8FD45N TOYOTA 8FD45N Diesel forklift FD series. Spare parts catalog. Service (workshop) Manual. 6351443 40-8FD45N TOYOTA 40-8FD45N Diesel forklift FD series. Spare parts catalog. Service (workshop) Manual. 6351444 8FD45U TOYOTA 8FD45U Diesel forklift FD series. Spare parts catalog. Service (workshop) Manual. 6351446 2FDA35 TOYOTA 2FDA35 Diesel forklift FDA series. Spare parts catalog. Service (workshop) Manual. 6351448 02-6FDAU45 TOYOTA 02-6FDAU45 Diesel forklift FDAU series. Spare parts catalog. Service (workshop) Manual. 6351450 FDC35 TOYOTA FDC35 Diesel forklift FDC series. Spare parts catalog. Service (workshop) Manual. 6351451 FDC40 TOYOTA FDC40 Diesel forklift FDC series. Spare parts catalog. Service (workshop) Manual. 6351452 FDC45 TOYOTA FDC45 Diesel forklift FDC series. Spare parts catalog. Service (workshop) Manual. 6351454 FDE35 TOYOTA FDE35 Diesel forklift FDE series. Spare parts catalog. Service (workshop) Manual. 6351455 5FDE35 TOYOTA 5FDE35 Diesel forklift FDE series. Spare parts catalog. Service (workshop) Manual. 6351456 6FDE35 TOYOTA 6FDE35 Diesel forklift FDE series. Spare parts catalog. Service (workshop) Manual. 6351457 02-FDE35 TOYOTA 02-FDE35 Diesel forklift FDE series. Spare parts catalog. Service (workshop) Manual. 6351458 02-5FDE35 TOYOTA 02-5FDE35 Diesel forklift FDE series. Spare parts catalog. Service (workshop) Manual. 6351459 02-6FDE35 TOYOTA 02-6FDE35 Diesel forklift FDE series. Spare parts catalog. Service (workshop) Manual. 6351461 7FDJ35 TOYOTA 7FDJ35 Diesel forklift FDJ series. Spare parts catalog. Service (workshop) Manual. 6351462 02-7FDJ35 TOYOTA 02-7FDJ35 Diesel forklift FDJ series. Spare parts catalog. Service (workshop) Manual. 6351463 22-8FDJ35 TOYOTA 22-8FDJ35 Diesel forklift FDJ series. Spare parts catalog. Service (workshop) Manual. 6351464 32-8FDJ35 TOYOTA 32-8FDJ35 Diesel forklift FDJ series. Spare parts catalog. Service (workshop) Manual. 6351465 50-8FDJ35 TOYOTA 50-8FDJ35 Diesel forklift FDJ series. Spare parts catalog. Service (workshop) Manual. 6351466 52-8FDJ35 TOYOTA 52-8FDJ35 Diesel forklift FDJ series. Spare parts catalog. Service (workshop) Manual. 6351467 62-8FDJ35 TOYOTA 62-8FDJ35 Diesel forklift FDJ series. Spare parts catalog. Service (workshop) Manual. 6351468 70-8FDJ35 TOYOTA 70-8FDJ35 Diesel forklift FDJ series. Spare parts catalog. Service (workshop) Manual. 6351469 72-8FDJ35 TOYOTA 72-8FDJ35 Diesel forklift FDJ series. Spare parts catalog. Service (workshop) Manual. 6351470 82-8FDJ35 TOYOTA 82-8FDJ35 Diesel forklift FDJ series. Spare parts catalog. Service (workshop) Manual. 6351471 06-8FDJ35F TOYOTA 06-8FDJ35F Diesel forklift FDJ series. Spare parts catalog. Service (workshop) Manual. 6351473 02-7FDJF35 TOYOTA 02-7FDJF35 Diesel forklift FDJF series. Spare parts catalog. Service (workshop) Manual. 6351474 02-8FDJF35 TOYOTA 02-8FDJF35 Diesel forklift FDJF series. Spare parts catalog. Service (workshop) Manual. 6351475 52-8FDJF35 TOYOTA 52-8FDJF35 Diesel forklift FDJF series. Spare parts catalog. Service (workshop) Manual. 6351477 7FDK40 TOYOTA 7FDK40 Diesel forklift FDK series. Spare parts catalog. Service (workshop) Manual. 6351478 02-7FDK40 TOYOTA 02-7FDK40 Diesel forklift FDK series. Spare parts catalog. Service (workshop) Manual. 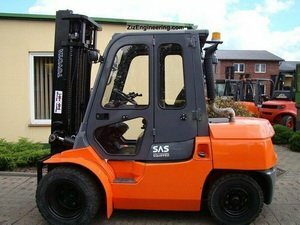 6351479 42-7FDK40 TOYOTA 42-7FDK40 Diesel forklift FDK series. Spare parts catalog. Service (workshop) Manual. 6351481 7FDKU40 TOYOTA 7FDKU40 Diesel forklift FDKU series. Spare parts catalog. Service (workshop) Manual. 6351483 7FDU35 TOYOTA 7FDU35 Diesel forklift FDU series. Spare parts catalog. Service (workshop) Manual. 6351484 02-5FDU35 TOYOTA 02-5FDU35 Diesel forklift FDU series. Spare parts catalog. Service (workshop) Manual. 6351485 02-6FDU35 TOYOTA 02-6FDU35 Diesel forklift FDU series. Spare parts catalog. Service (workshop) Manual. 6351486 02-5FDU40 TOYOTA 02-5FDU40 Diesel forklift FDU series. Spare parts catalog. Service (workshop) Manual. 6351487 02-6FDU40 TOYOTA 02-6FDU40 Diesel forklift FDU series. Spare parts catalog. Service (workshop) Manual. 6351488 52-6FDU40 TOYOTA 52-6FDU40 Diesel forklift FDU series. Spare parts catalog. Service (workshop) Manual. 6351489 7FDU45 TOYOTA 7FDU45 Diesel forklift FDU series. Spare parts catalog. Service (workshop) Manual. 6351490 02-5FDU45 TOYOTA 02-5FDU45 Diesel forklift FDU series. Spare parts catalog. Service (workshop) Manual. 6351491 02-6FDU45 TOYOTA 02-6FDU45 Diesel forklift FDU series. Spare parts catalog. Service (workshop) Manual.